The Message of Divine Mercy Sunday is that God loves “all of us” no matter how great our sins. He wants us to recognize that His mercy is greater than our sins, so that we will call upon Him with trust, receive His mercy, and let it flow through us to others. Thus, all will come to share His joy. Jesus told St. Faustina that this Feast of Mercy would be a very special day when “all the divine floodgates through which graces flow are opened”. 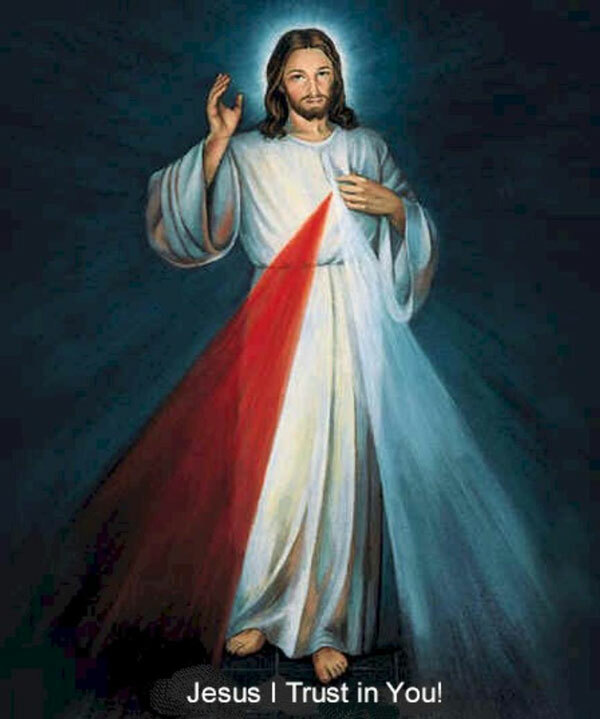 (Diary 699) Our Lord made a great promise to all those souls who would go to Confession and then receive Him in Holy Communion on the Feast of Mercy, on the Sunday after Easter, which is now called Divine Mercy Sunday throughout the Catholic Church. The Image of The Divine Mercy, which Our Lord requested to be solemnly blessed and venerated on this day, will be on display in our church. Pope John Paul II said that the image portrays the Risen Jesus Christ bringing Mercy to the whole world. Our Lord said “I want the image to be solemnly blessed on the first Sunday after Easter, and I want it to be venerated publicly so that every soul may know about it. I promise that the soul that will venerate this image will not perish”. (Diary 341, 48) Please take the time to visit with this Image of The Divine Mercy and venerate Jesus. The Church allows for one to go to Confession for up to 20 days, before or after Divine Mercy Sunday.